"Say 'goodbye' to lumpy protein shakes and 'hello' to smooth, great-tasting drinks. Our patented mixing system uses the BlenderBall® wire whisk—found only in BlenderBottle® brand shaker cups—to mix even the thickest ingredients as you shake." I am so done with the plastic sippy cups and bottles that my girls have been using the past couple of years. Each night I would find myself trying to soak and using mini cleaning brushes and q-tips to clean every nook and cranny of the straws and plastic pieces, only to find days later mold and gunk there. I lost count of how many of their drink bottles I threw out. It was like throwing good money out the window, even though all these drink bottle companies said they were made to prevent this kind of thing...but, that wasn't the case. I, then switched to buying water in plastic bottles at the market, but hated having to recycle all the bottles at the end of the week, as my girls drink a 3-4 bottles a day worth of water a day, and more when they have their sports or exercise classes. Then, it hit me, why not use a BlenderBottle like my husband uses. 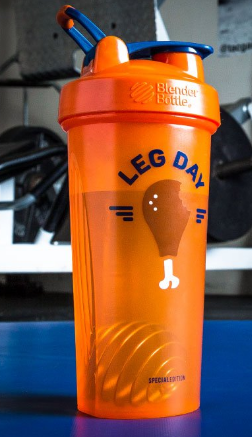 He has been a fan of BlenderBottle for a for years, after he was gifted this best-selling portable mixer bottle from the Crossfit gym he goes to. Even though my girls weren't drink protein or drinks that needed mixing, they could still use these bottles, which compared to the other ones they had, are a breeze to clean, and even hold more water than their other ones. I couldn't help but smile when I saw this, and thought this is perfect for those who are fans of turkey like I am. Come on, for the person who has everything, I don't think they have a turkey leg BlenderBottle. 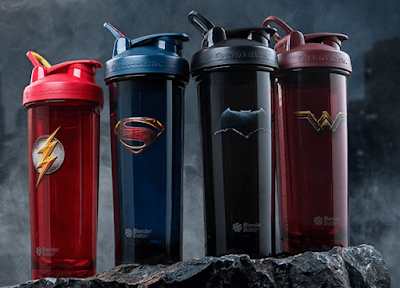 :-) In addition to the fun limited edition "Leg Day" bottle, you will find collegiate, Just for Fun, DC Comics, Color of the Month, and so many other BlenderBottle bottles to choose from. In addition to the plastic version of this portable blender bottle, you can purchase BlenderBottle products in insulated stainless steel and glass. 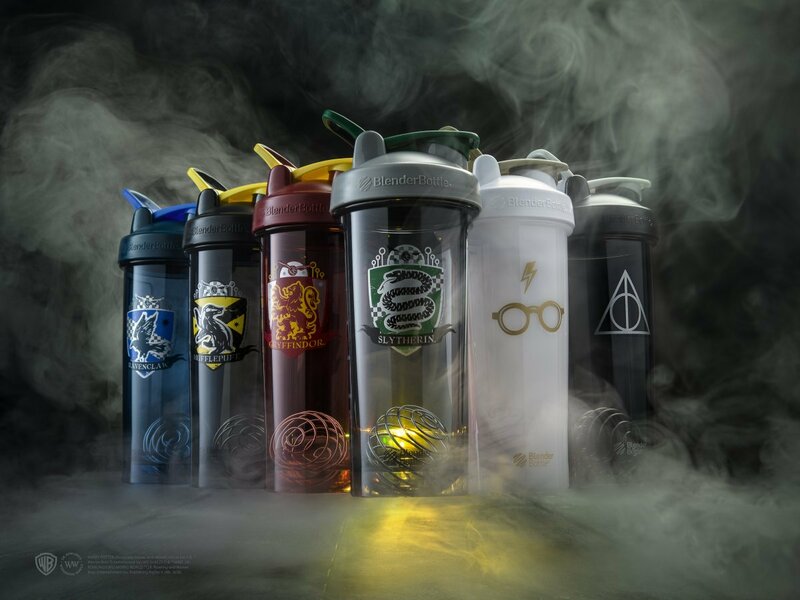 You can also find bottle brushes, replacement lids, insulated sleeves which you can order for your new BlenderBottle bottle. Like I said, my husband was gifted a BlenderBottle a few years ago and continues to use his bottle. He makes protein shakes to drink on the way to work, and then brings his protein mix packets to make another drink before he heads to the gym during lunch. And, on the weekends, he is never without his BlenderBottle, as he likes making smoothies and adding his protein powders into it. And, now he has my girls on a smoothie kick on the weekends, and they try to come up with new recipes to make a tasty fruit/yogurt based smoothie, that they put into their BlenderBottle bottles and shake up. Yum! I guess you can say that a family who shakes together, stays together. 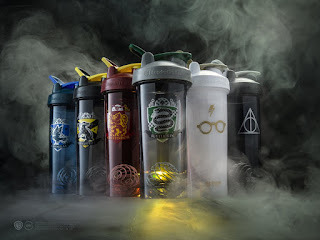 :-) We love BlenderBottle and their products, and I plan to buy a few more for my husband and to have, as well as gift some to family and friends who like making shakes and protein drinks when hitting the gym. Now to decide on the design of each bottle to gift. I really am loving the limited edition Harry Potter collection, as well as the DC Comics ones. 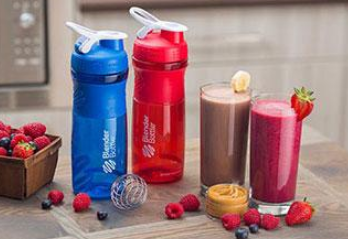 To learn more about BlenderBottle and check out their line of products, perfect for the whole family, head on over to https://www.blenderbottle.com/ today.